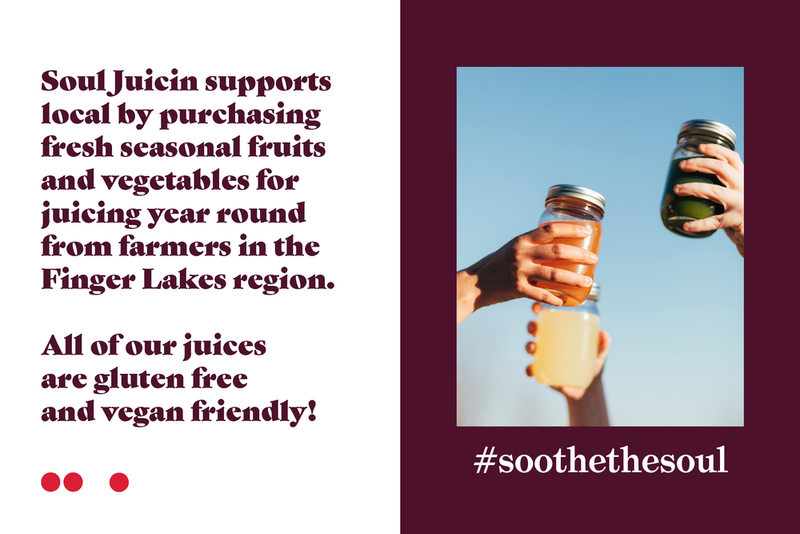 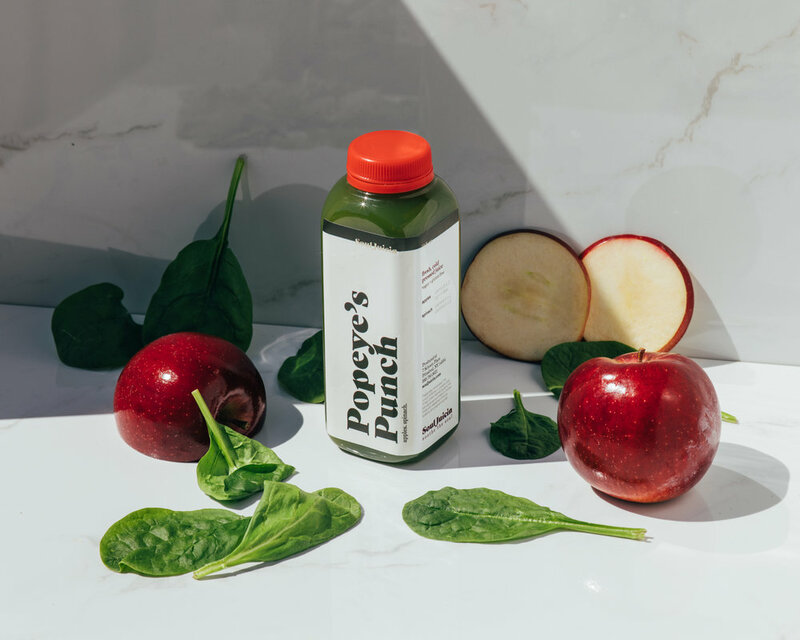 Soul Juicin is an independently owned juice shop in Pittsford, NY, all about wholistic wellness and putting healthy foods into your body. 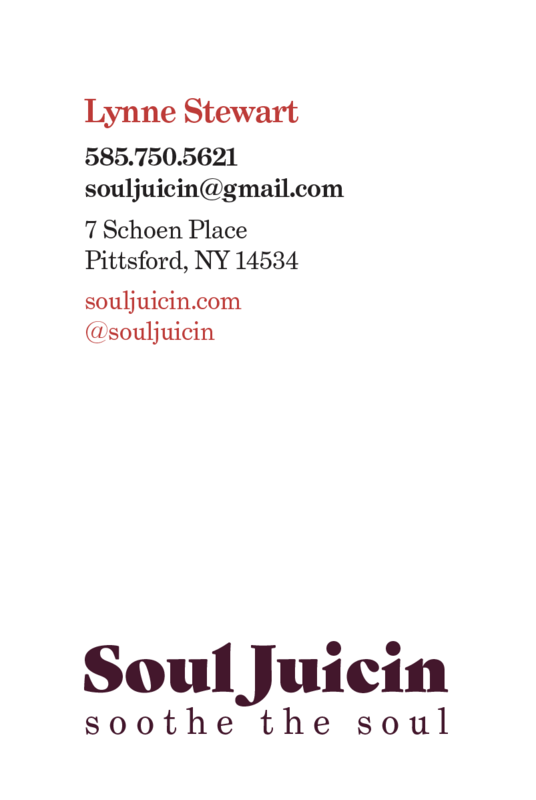 Upon being contacted by the owner, I initiated a visual rebrand for Soul Juicin, spanning from a new logo and label designs, to photography and other print collateral. 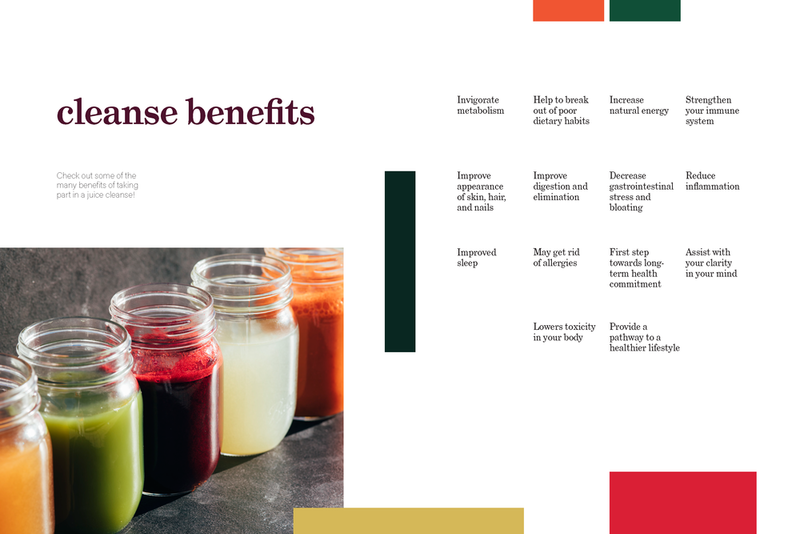 This semester–long project was exhibited at the Rochester Institute of Technology's "Imagine RIT" festival in late April. 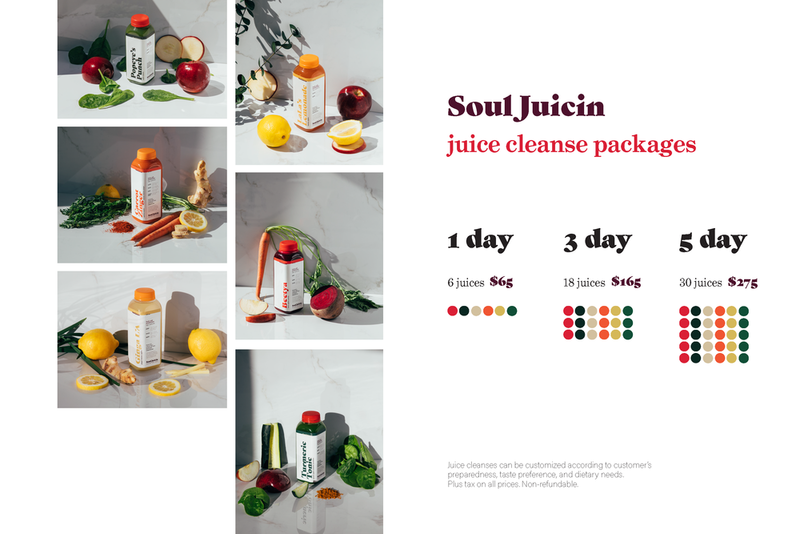 Goal: As Soul Juicin looked to enter into a college student / young adult target market, I aimed to give the brand a brighter + cleaner look that is fun yet mature, and highlights the colors of the juice. 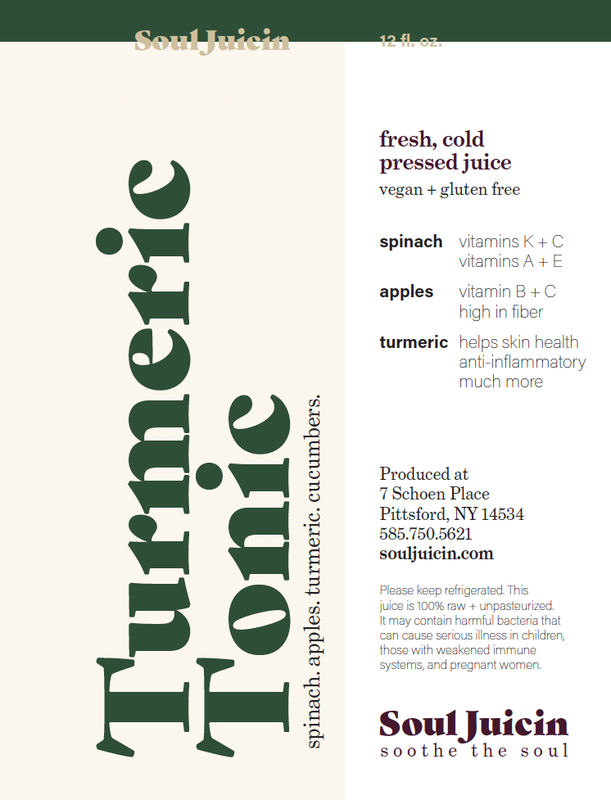 Branding project and juice tasting on display at my university’s festival, Imagine RIT.